Virginia Baranick, age 98, passed away Monday, April 2, 2018. 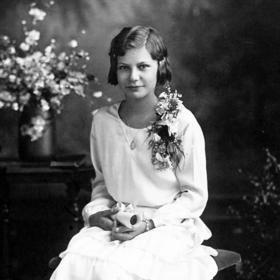 She was born in Racine, WI May 29,1919 daughter of the late Clarence and Hilda (Maass) Burdick. Virginia was a graduate of Wm. Horlick High School “Class of 1937”. 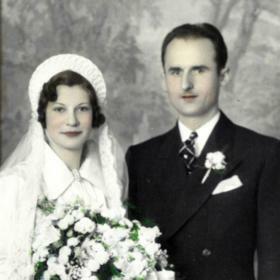 On November 6, 1937, she was united in marriage to Edward Maximilian Baranick who preceded her in death November 27, 2005. 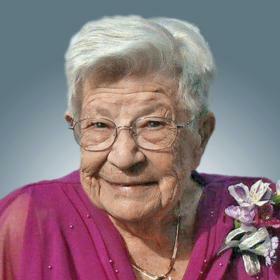 In her earlier years Virginia was employed by Hamilton Beach Co. and was proud to be a beautician throughout her life. She was a very active longtime member of Sacred Heart Catholic Church, Christian Mothers. After retiring to Florida she was a volunteer, teacher of senior crafts and Hospitality Minister at Our Lady Queen of Marty's Catholic Church. Upon returning to Racine St. Lucy's Catholic Church was her parish home. Her hands and mind were never idle. She played all kinds of card games, loads of bingo and dominoes. She was always crocheting for family, friends, church, women's resource center, toys for tots and chemo hats. Her family and friends were a very important part of her life. She was always gathering them to celebrate life and family. She was a big influence on all of their lives. 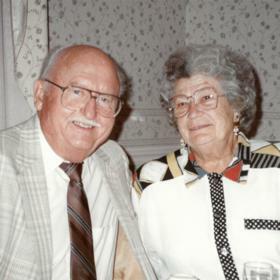 Surviving are her children; Lawrence(Margaret) Baranick of Venice, Fl; Sandra (Jim) Kairis, Gloria Holtz both of Racine; 12 grandchildren, Tom (Michelle), John(Sharon), Robert(Holly)Baranick, Ann(Tom)Newell, Mary(Rob)Farley, Patricia(Shayne)Olson, James (Deann) Falbo, Lisa Falbo, Michael(Sarah), Brian(Jennifer), Timothy(Terri) and Rachael Holtz; 22 great-grandchildren; 6 great-great-grandchildren; sister Loretta(Myron) Pelke of Hartford, WI and many nieces, nephews and friends. 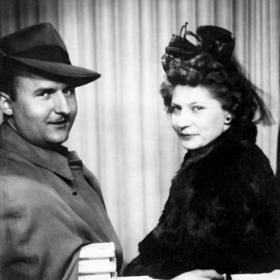 In addition to her parents and husband she was also preceded in death by 3 brothers Raymond (Leora), Robert (Clara), Alvin (Joyce) Burdick, sister Diane (Melvin)Beth and her son-in-law Ray Holtz. A Mass of Christian Burial will be celebrated Saturday, May 5, 11:00 A.M. at St. Lucy's Catholic Church, 3101 Drexel Ave. with Rev. Javier Guativa officiating. Relatives and friends are invited to meet with the family for visitation at the church on Saturday from 10:00 A.M. until time of Mass. Interment will follow at Holy Cross Mausoleum, Hwy 32. Memorials to St. Lucy's Food Pantry have been suggested by the family.